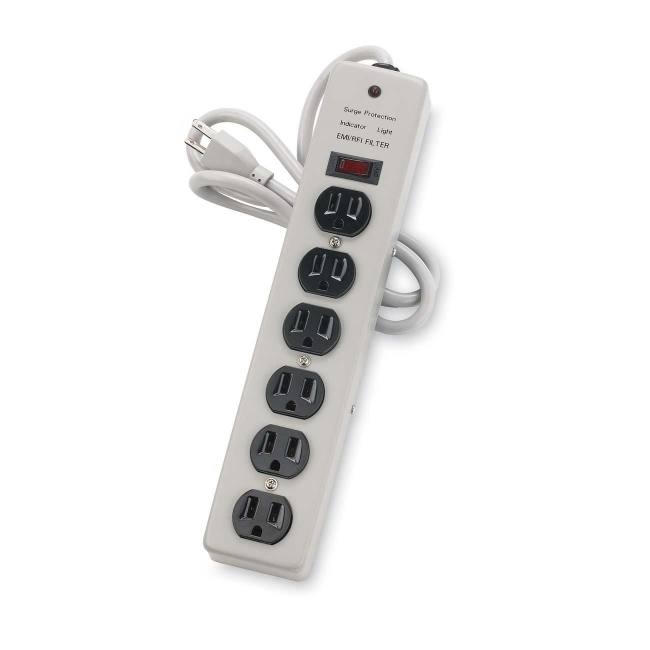 Six-outlet power strip features rugged metal housing with baked enamel finish, six grounded outlets and a 6' power cord. The power switch has a 15 amp overload circuit breaker. Design also includes mounting holes on back. Power strip is rated 540 volts, 15 amps. U.L. listed. UL1449 compliant.